We actively tried for over 2 years to get pregnant on our own. When things didn’t work out I started seeing a reproductive endocrinologist, but nothing worked. We didn’t want to try IVF or any more hormones so I stopped taking the hormones and took the Fertility Cleanse and stopped trying to conceive. A few months later we were blessed to adopt a baby. I was able to breast feed her, but after 6 months my period returned. I started making too little milk to satisfy her and my cycle was still all over the place. I turned back to this site for help to regulate my cycle so that I could get through life a little better with terrible periods. I started taking Maca and Vitex and after a few months, my periods were not so painful and my cycle was a little longer (I had a short cycle). My skin looked amazing. Then, shortly after my daughter’s first birthday, I didn’t have a period at all. Since so many doctors told me it would be impossible for me to get pregnant without intervention, I ignored it and figured the Maca and Vitex were working too well. 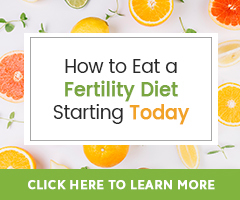 A friend encouraged me to take a test and I was pregnant (for the first time ever), naturally, just from the Fertility Cleanse and herbs from the site! I am sitting here with my two little miracles, a 2 year old and a 2 month old. I never thought I’d be able to be a mom at all and now I’m a mom of two and I owe so much to NaturalFertilityInfo.com. 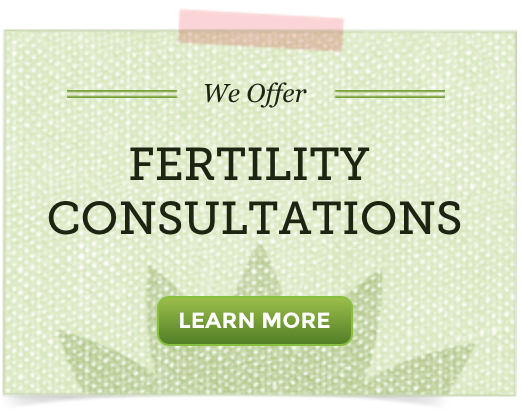 For me, natural fertility wasn’t just about getting pregnant, it helped me with my overall health. I felt so much better after taking the cleanse and stopping hormonal treatment. I learned so much about my body and the women behind the site were cheerleaders for me every step of the way. They were some of the first people I contacted after I got pregnant and gave me sound advice to help me stay pregnant. I even plan to continue taking some of the herbs to maintain healthy eggs and regular menstrual cycles when I’m done breastfeeding. I am sorry this is even a concern, but we do share of antiphospholipid antibodies in two of our guide 5 Steps To Decreasing the Chance of Recurrent Miscarriages and you may also want to learn more about Immune Infertility: Natural Options for Immunological Fertility Issues. Each of these guides will share suggestions. I really love this site, it gives me hope that one day i will also be able to conceive, i have been married for 3yrs and never been pregnant. i did an ovarian cyst surgery some few months ago and i have started trying to get pregnant. i have also taken your advice by ordering for maca root powder and vitex. i pray it works for me.please give me info on how to use the product. We are grateful to offer hope! In general, it is best to begin with the lowest suggested dose and work up from there if need be. Each are known to be most effective when combined with a whole food Fertility Diet and healthy lifestyle. I can not wait to hear of your success!